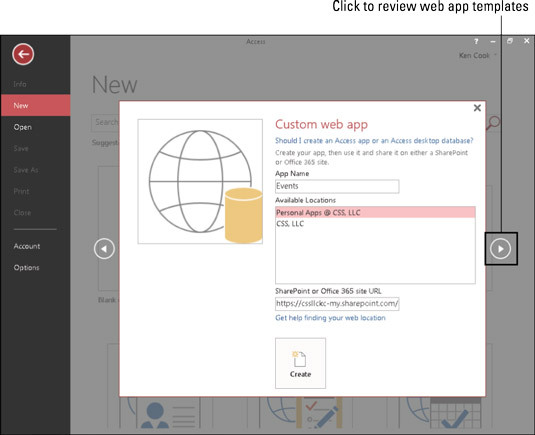 You can create a web app in Access 2016. So what is a web app anyway? Well, web means it’s online, and app is just shorthand for “application.” A Custom Web App is an online database application accessed from the cloud using a browser. 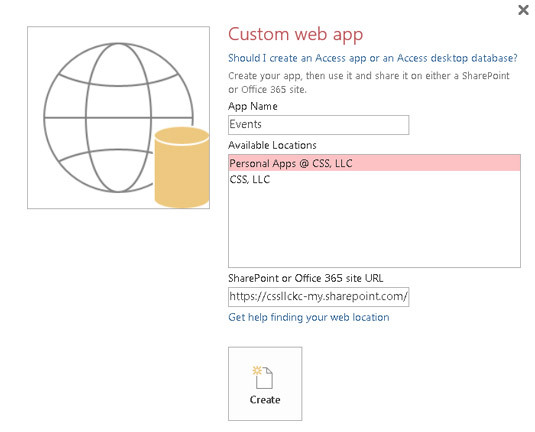 You build and maintain the web app in the desktop version of Access but use it in a browser. This makes your Access data available to almost any device that has an Internet connection such as a smartphone or tablet. customers, and assign them to employees. them with customers, and assigning them to employees. Task Management Plan and manage tasks, and then assign them to employees. Click the File tab, and then click the word New in the red left-hand panel. The File tab’s New command gives you access to a web app template. Click the Custom Web App button (it’s rather large, so you can’t miss it). Choose a name and online location for your web app. Your Web Location, which takes you to a website that provides options for you to use if you choose to continue developing your web app. Don’t have a web location yet? Check out your options here. Enter a name for the app in the App Name text box. Select or enter the URL for the site that will host the web app. 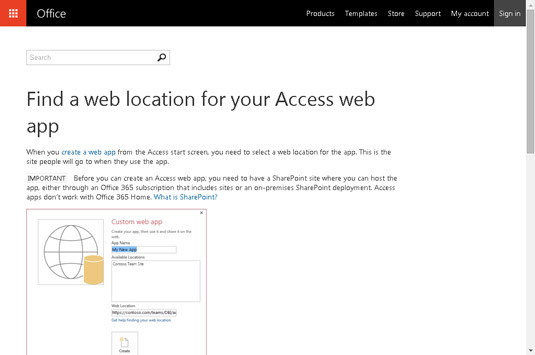 Office 365 sites are listed in the Available Locations list box. If you’re using a local SharePoint site, type its URL in the SharePoint or Office 365 site URL. Click the circled right arrowhead to the right of the dialog box to browse templates. Click the right arrowhead to review web app templates. Once you’ve found your template, click Create. Access builds a web app based on the template you selected and the Add Tables tab appears. 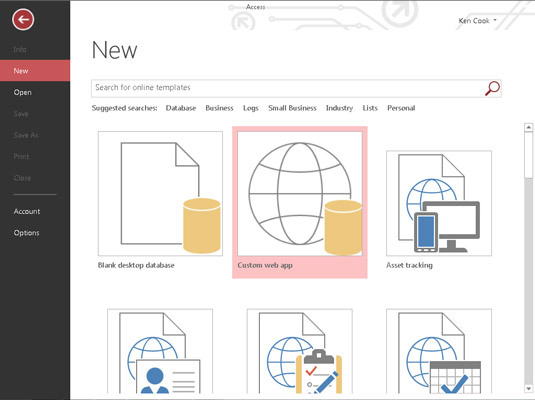 You’re now ready to add other tables to your web app beyond the one created with your template selection.